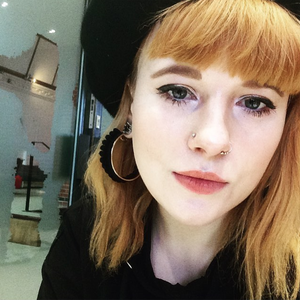 I am Aisling Horrigan, an Advertising Graduate at Socially Recruited and Socially Reached, with a bachelors in advertising and masters in visual communication from Southampton Solent University. I am passionate about digital and print advertising, social media, and graphic design. Since February 2018 I have been working at Socially Recruited and Socially Reached, where I create and monitor all digital advertising, including social media advertising and Google Display advertising. I have over a years experience handling the social media accounts for Cineworld Southampton where I created events, responded to comments and messages and posted statuses. I have created posters for Oxfam Music and Young Twerks DJ nights. During this time I have also had a weeks experience at ICAAL digital marketing and learnt the full Adobe suite.